The new INFINITI QX60 midsize crossover offers Florence drivers luxury with enough space to seat up to seven passengers. With formidable features like 3.5L V6 engine and 295hp, this powerful vehicle elevates your daily commute. 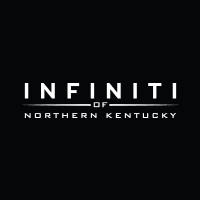 Available at INFINITI of Northern Kentucky, we’re ready to help you put the QX60 to the test with a drive in Cincinnati. Review our current QX60 inventory, then check out our easy to use auto payment estimator to get an idea of your monthly payment amount. With these accommodations and more, the INFINITI QX60 is ready for mostly anything. This family friendly crossover holds all you’ll need when you drive around Ft. Mitchell. See our Acura MDX vs. INFINITI QX60 comparison, browse our inventory, and once you’ve found the QX60 crossover that catches your eye online, come down to INFINITI of Northern Kentucky today to step inside one yourself. Our team is ready to help answer your questions and get your new vehicle buying process started. Apply for financing before you come to have an even more smooth transition into your new INFINITI crossover.